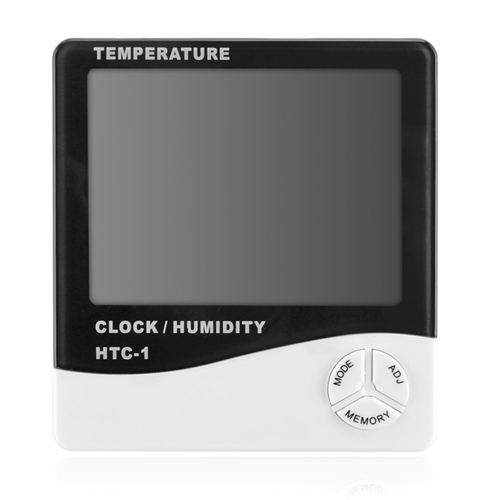 Our Hydro Crunch Digital Thermo-Hygrometer displays temperature, humidity and time simultaneously. It also has a comfort level indicator. Measure in Celsius from -50 degrees to 70 degrees or in Fahrenheit from -58 degrees to 158 degrees F. Sampling period: 10 seconds. 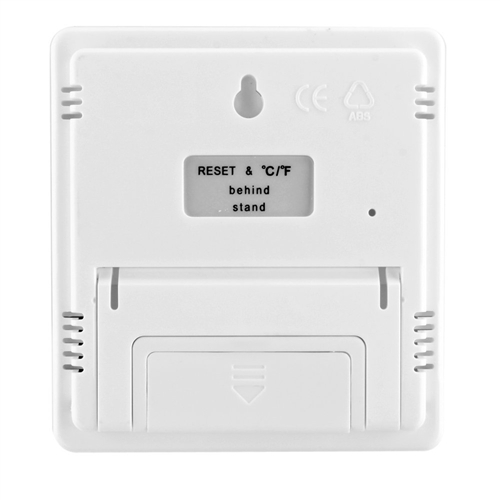 Featuring a large display unit with one-inch tall easy to read digital numbers, additional features include an alarm clock, min/max memory, calendar, and desktop or wall hanging ability. Recommended only for home and office use, this hygrometer can also be used outdoors, but only in a protected area. Battery operated. 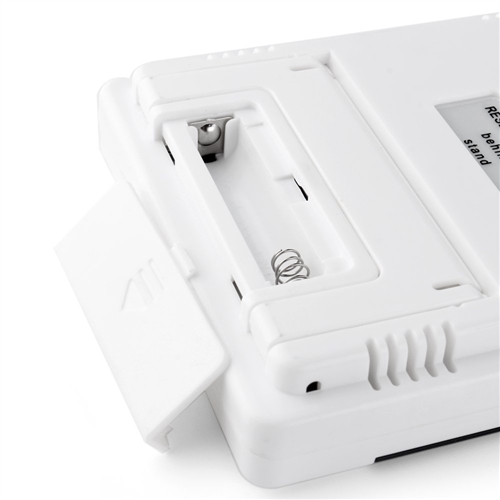 Features 2 in. 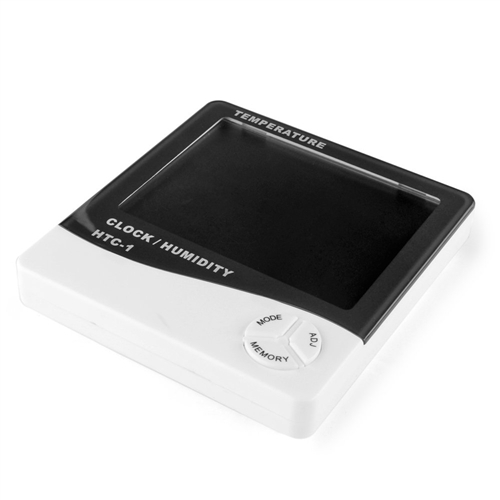 LCD shows current temp and humidity. Manual 12/24 hour time and will record min/max values. 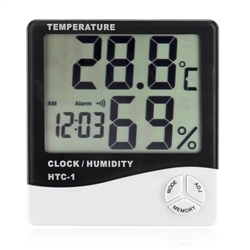 Display in system is selectable °C/°F unit, Clock & Calendar function (month and date). Desk-top placing or wall hanging. If used outdoors, please place under protected area such as a covered porch. Dimension 4.1 in. x 3.8 in. x .9 in.